Photo credit - Slice Slice Baby . Slice Slice Baby is the story of a dream turned into a reality by professional rugby players Ethan “Beef” Waller and Alex “Sue” Waller. Both sharing a passion for food they always knew there was only one path they could have taken when it came down to it. Expect to see Slice Slice Baby pop up at a Worcestershire village near you . 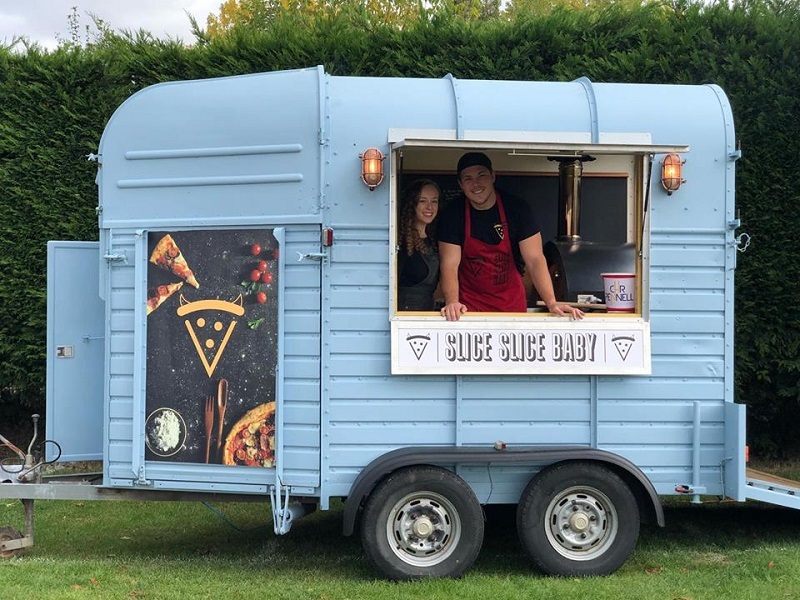 They are also available for any form of private hire, event, business lunch…you name it, these guys will be there serving up delicious hot pizza from their (yet to be named baby blue trailer). 20% off at any UK food market or festival event with The Foodie Card.